UPDATE 2.50PM: A SEVERE thunderstorm warning has just been issued for the Central Coast, Central Highlands, Coalfields, Central West and Capricornia districts. The Bureau of Meteorology issued an updated weather warning at 2.30pm, stating that damaging winds and large hailstones could affect towns such as Emerald, Clermont, Blackwater, Moranbah, Springsure, St Lawrence, and Carnarvon National Park in the next several hours. The next warning is due at 5.30pm. UPDATE 1.30pm: SEVERE storms are "likely" for Rockhampton tonight as a large storm cell moves south over Central Queensland. According to Storm Cast, severe thunderstorms are likely to hit the region early tonight and intensify throughout the evening. The below graphic shows a rain radar for 10pm. Although, the Bureau of Meteorology issued a severe storm warning for areas north of St Lawrence at 11.30am. The Bureau will update the storm warnings regularly with the next update at 2.20pm. 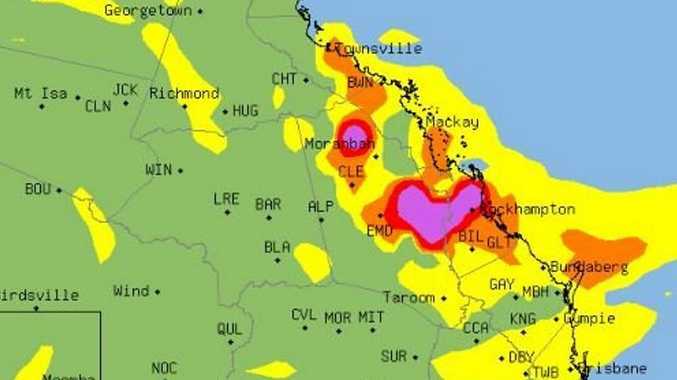 INITIAL STORY: WHILE parts of Queensland were battered by a "hailnado" yesterday, Central Queensland experienced only the fringe of the vicious storm cell. Parts of the Central Highlands copped the cusp of the storm but it was nothing compared to the intensity that tore off roofs and killed one man in south-east Qld. 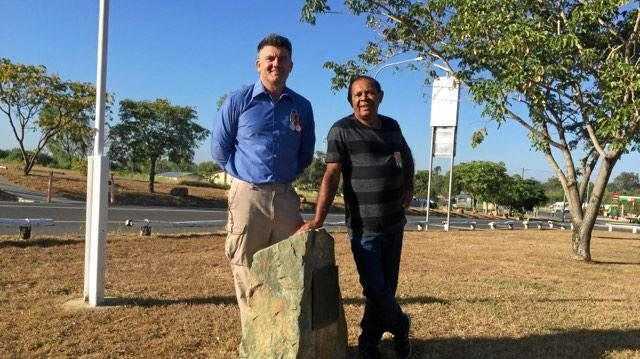 Property owners in Jambin still rejoiced after they recorded 62mm of rain in the overnight storm with more rain expected over the weekend. Residents in Middle Creek recorded 17mm of rain and Blackwater saw around 14mm. Despite the radar warning of ominous rain, residents in Longreach were teased with just a sprinkle as the storm cell weakened. Waking up at 2am to the smell of damp earth was enough for many western residents although it was not widespread. The Rockhampton region and Yeppoon totally missed out on significant rain with both recording just 0.2mm in the official Bureau of Meteorology gauges. Over the weekend, Rocky can expect a very high chance of decent rain, between 20-30mm on Saturday. 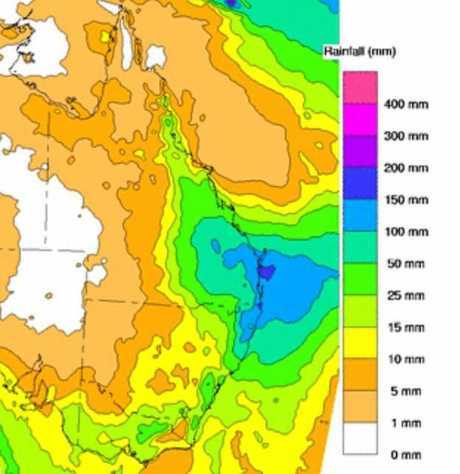 According to BOM, Central Queensland can expect around 25-50mm of rain over the next eight days. The Capricorn Coast had a similar story with a 70-100 per cent chance of rain this weekend. Hoping not the dampen the spirits of the 2018 Yeppoon Lions Tropical Pinefest, Sunday will be partly cloudy with only possible rain between 1-4mm.